CBS News justice correspondent Bob Orr spoke with Harry Smith Wednesday about Detroit airline bomb suspect Umar Farouk Abdulmutallab's apparent connections to a radical cleric – Anwar Al-Awlaki – who is also tied to other terror suspects. 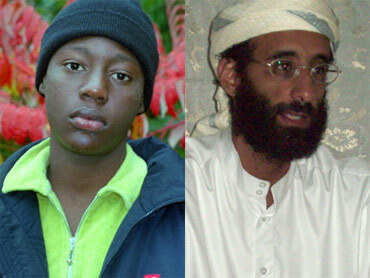 Smith: We are starting to learn a lot more about this radical imam, Awlaki, who is actually born in the United States. Tell us. Orr: It's actually frightening, Harry. U.S. officials now, almost to a man, are becoming increasingly more convinced that Anwar Al-Awlaki is more than a radical cleric. The sources we've talked to say he's a coordinator, even a facilitator, or talent recruiter if you will, for al Qaeda and all of its franchises. The FBI will not say if Anwar al-Awlaki and the suspect in the Detroit case, Abdulmutallab, ever met face-to-face in Yemen, but in the months prior to the attempted bombing … the two men were communicating. Sources say at a minimum, Awlaki was providing spiritual support and now investigators are pressing hard to know if he played a bigger role in perhaps introducing the suspect to terrorists. Meanwhile Awlaki himself is a marked man. Sources say he was in fact one of the targets of a Yemeni-led airstrike carried out just before Christmas. Apparently he survived. Smith: Bob, the other question we have for you tonight [is] about this similar attack with the Somalian. Orr: Yeah, it's a little puzzling but I don't think we should draw too much into this. The arrest you're talking about happened six weeks ago in Mogadishu when a man tried to board an airplane there carrying a bag. It had dangerous chemicals inside and a syringe. Now investigators of course need to find out if that arrest is connected at all to Detroit, but there are major differences. For example, the Somali suspect was carrying large quantities of chemicals – more than a pound of ammonium nitrate, half a liter of sulfuric acid – and that was too much to hide on his body. It is though worth noting that Somalia is yet another active terror network home – al Shabaab, and already, as we've reported many times, Harry, al Shabaab has reached out and recruited dozens of Americans looking to join jihad. Click Here for a list of ways you can contribute to the relief effort in Haiti. Extra reporting, analysis and more from CBS foreign desks across the globe.